Back in 2010, both shoegaze fans and people who had no idea what shoegaze even was were turned on to the hypnotic, enthralling sounds of Tamaryn with her debut album The Waves, and now two years later, Tamaryn and Rex John Sheverton have brought us back to that world of ever growing wonder and bliss with their sophomore release Tender New Signs. The album opens with the properly titled track “I’m Gone” and as soon as Tamaryn’s soothing, distinct vocals kick in, the track begins to consume listeners from head to toe in its haunting yet ethereal atmosphere. 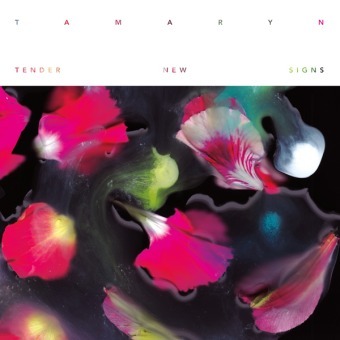 With the overall attention to detail and amount of layers involved, Tamaryn’s music has always sent chills up spines and put listeners in a psychedelic daze of sorts, but even through the darkness, an otherworldly beauty has always remained and that’s especially evident in Tender New Signs. “No Exits” is a slow, swoon worthy track that wraps you up in a blanket of fuzz and delicate movements, making it one of the softest songs found on the album. On “The Garden” things pick up pace a bit with a subtly powerful and enchanting tone and once again Tamaryn shines and demonstrates versatility without drifting out of the box that she’s created. The album closes with the mysterious, echoing sounds of “Violet’s In A Pool” and with that, Tamaryn leaves us all with a farewell that’s every bit as bittersweet as it is stunning.